Startup founders often say, when planning their international expansion, that they are aiming at already established markets, such as the USA, Great Britain, China or Southeast Asia. It makes sense. Such countries have a favorable investment climate, well-developed technological infrastructure, growing distribution markets, production capacities and convenient tax systems. At the same time, there are markets that are less well-known but also offer good opportunities for product development. Kazakhstan is one such market. In this article, I will explore the nature of the Kazakh IT community, looking at which particular niches have room for expansion. Hint: in 2018, the country’s government plans to allocate up to $1 billion for various projects that are expected to help digitize the country. Geographically, Kazakhstan is located in Central Asia, sharing borders with Russia and China. Comparable in size to Argentina and India, Kazakhstan is the ninth largest country in the world, though its population is only 17.8 million. The distances between large cities and remote villages can span up to thousands of kilometers. That’s why the main challenge to solve for local projects is creating an infrastructure that will help reduce the impact of the geographical gap through the use of technologies. Kazakhstan is the most developed country in the region, both in terms of GDP per capita and the development of e-government and digital services. Its basic sources of revenue are natural resources, such as oil and gas. There is much talk in the country about having to “get off the oil needle” by investing in innovations and technology. The domestic market in Kazakhstan is growing, but it is relatively small on a global scale. The most profitable internet market in Kazakhstan is eCommerce, with a market volume of about $700 million. For comparison, the figure stands at $2 billion in neighboring Ukraine and more than $18 billion in Russia. Among the leaders of the local eCommerce market are the online clothing store Lamoda.kz and air ticket sellers like aviata.kz. Kazakhstan is one of the global leaders in mobile traffic consumption. On average, a user from Kazakhstan consumes 4.4 gigabytes of traffic per month. This year Kazakhtelecom, #1 telco in the country, has launched an M2M network. By 2025, the network’s power will allow the connection of 100 million IoT gadgets. Thanks to the M2M network it will be possible to digitize agriculture and industry in remote regions — this is a good opportunity for startups in this field. Most Kazakhstan startups work only in the domestic market; there are few global projects. 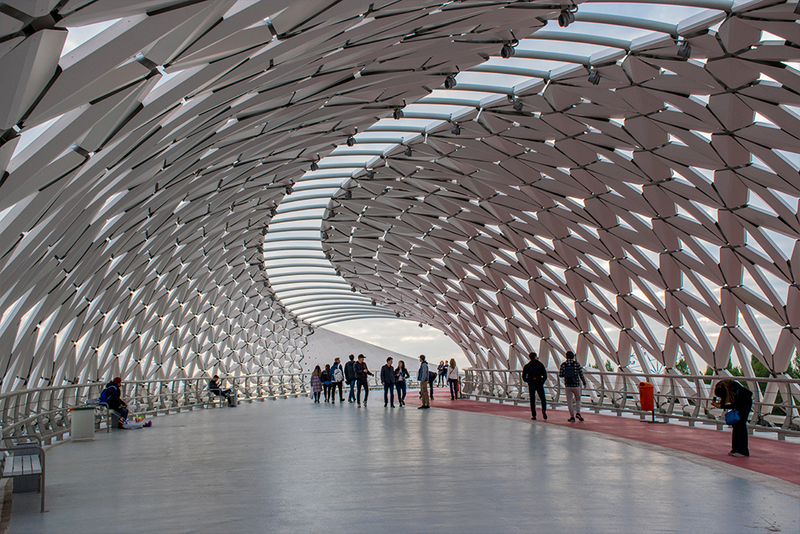 The most well-known Kazakh projects that have succeeded globally are Nommi — the 4G Hotspot with Unlimited Wi-Fi, and Robo Wunderkind — a robotics kit designed for children. The country already has the necessary network infrastructure to launch technological solutions. To date, 65% of the population of Kazakhstan have access to the LTE network. Kazakhstan is set to launch a 5G pilot in 2018. The fifth generation network will be launched at full capacity within the next two years. Kazakhstan is currently reorienting the country’s economy away from oil and towards technologies. The country doesn’t want to have the same sad fate of the Soviet Union, Venezuela and numerous other countries which have been on the verge of default due to the decrease in price of natural resources. For this purpose, over the course of five years (2012-2016), the Kazakhstan government invested $12 billion to support SMEs via the DAMU program. In 2015-2019 the government plans to invest an additional $15 billion to support the resource processing industry. Another fund that finances projects in the field of innovative entrepreneurship is NATD. On average, the grants cover 50–60% of all expenses. The program provided a total of $4.5 million to nine projects during 2017. Finally the most funded program is Digital Kazakhstan. At the moment there are 42 projects across the country that require technological solutions and partners from all over the world. The projects will be financed as part of the “Digital Kazakhstan” program, the budget for which exceeds $1 billion. Kazakhstan has identified four priorities for investment: developing digital infrastructure, supporting social projects, creating digital state, and innovations in the industrial sectors. Most business development grants are non-payback. Companies and startups operating in free economic zones are exempt from corporate income tax, VAT, property tax, land tax, import customs duties and are entitled to simplified procedures for hiring foreign labor, among other perks. In what sectors is it worth entering the market? The main task for startups and IT companies is to unite the country’s population, which is scattered over a vast territory. Startups operating in the field of digital infrastructure development, social projects, digital government development and innovations in the industrial sectors, will receive up to $1 billion investments for the implementation of the above projects. In this case, the services will be ordered by the State. Millions of Kazakhs live in rural areas where there is access to the Internet, but few qualified teachers. In the coming years, the internet penetration is going to increase even further. For example, there is a plan to lay more than 20,000 kilometers of fiber-optic cables, bringing internet to 1,249 localities with a population of more than 500 people. In these remote regions, there are more than 5,000 schools and 4,000 hospitals that don’t have quality access to e-learning and e-health technologies. If your project can provide cheap and high-quality remote education for high school and university students, as well as integrating such platforms as Coursera or edX into the local education system, then you should definitely think about coming to Kazakhstan. Another priority for Kazakhstan is to create a single health records database that will connect all local hospitals, as well as reducing insurance costs. The priority is to provide the residents of hard-to-reach areas with access to remote medical consultations. For such a service, there is already an audience of 18 million people. Fintech projects focused on processing statistical data, taxes and pension savings, along with projects enabling quick detection of electronic crimes, will be in demand in Kazakhstan. In the last year Kazakhstan’s President Nazarbayev has suggested implementing blockchain in the taxation system, online cargo tracking and customs operations. For example, the state website minagro.kz uses blockchain for accounting grain trade transactions. Blockchain-based VAT administration is scheduled for launch in 2019. This will help track the financial transactions of taxpayers, ensure guaranteed VAT refunds and preclude gray areas. Kazakhstan representatives are also participating in negotiations on the creation of a Eurasian cryptocurrency. Kazakh farmers produce food “in the good old-fashioned way” and rarely use modern technologies to automate their production processes. New solutions are expected to appear in Kazakhstan in the next few years, including drones for spraying crops; a Virtual Agricultural Market; blockchain solutions for livestock, crop and seafood traceability; a single database with information on soils and weather, and recommendations for farmers. This will help increase yields, as well as facilitating effective crop planting and reducing farm maintenance costs. In 2015, the total revenue from agricultural sales in Kazakhstan exceeded $10 billion. An example of this is Odobreno.kz, a platform enabling farmers from villages in the Almaty region to sell organic produce directly to customers in Almaty. Delivery is organized as a kind of “Uber for rural drivers”, or carried out by the farmers themselves. 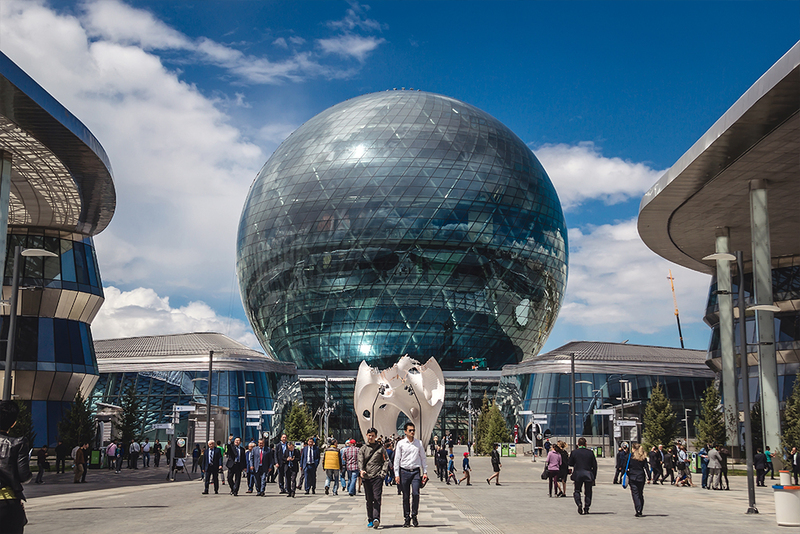 The Smart City concepts have been developed for the three largest cities – Astana, Almaty and Shymkent – as well as 15 others. The key priority here is to introduce an intelligent transport system by installing sensors on different types of vehicles and by monitoring the traffic speed at certain locations. Kazakhstan is also going to optimize the transport network and the road asset management system by monitoring traffic loads and pavement quality, and also optimizing investments in road repairs. By way of example, Sergek, the “smart camera” system, has already helped solve more than 500 crimes and reduce the number of traffic accidents by 18%. The program became self-sustaining after a few months and has helped collect more than $10 million in fines. As Kazakhstan’s domestic market is growing but still small, projects that solve infrastructural problems have the greatest potential. Projects related to eCommerce, fintech, data management, e-gov and education, i.e. those pursuing technological trends, should come with the understanding that there are few major players in the market, and anyone with a reasonable proposal has a chance of finding their place in the sun.